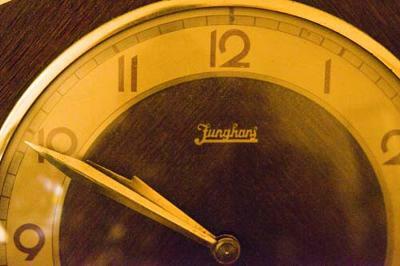 I got this clock in 1974 at a flea market in central North Carolina. It is a mantel clock and seems to last about 7-8 days after being wound up. Please help me identify the maker-it says FUNGHANY in script. A close up of the signature is attached to this entry.